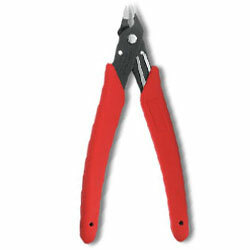 Shears wire up to 14 AWG with unique flush-cutting action that minimizes fly-off. Steel hold-open spring for self-opening. Compact head for easy working in confined areas. Cuts ACSR, screws, nails, and most hardened wire.